There are seven main Ionian islands, which gives the group its Greek name of Eptanisa, which literally means 'seven islands'. 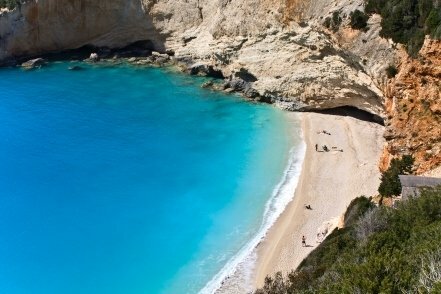 There are also one or two smaller islands such as Antipaxos and Antikythira too. Six of the main islands are in the Ionian Sea, tucked between Greece and Italy, while the seventh, Kythira, stands on its own at the foot of the Peloponnese, not really logically in any of the main Greek island groups. Because of their location the Ionians are rather different from the Greek islands in the Aegean, being greener and not quite as burningly hot in the summer. In winter they can get quite a lot of rain, especially the most northerly island, Corfu. It's what gives the island its lushness, and is why it's got an unusual feature for a Greek island: a golf course. The Ionians are all popular holiday destinations, and quite right too. They're very good for windsurfing and sailing, and they all have some spectacularly beautiful beaches. Corfu Town is one of the most cosmopolitan towns in all the Greek islands, having been influenced by the French, the Italians and the British, while retaining its uniquely Greek atmosphere. 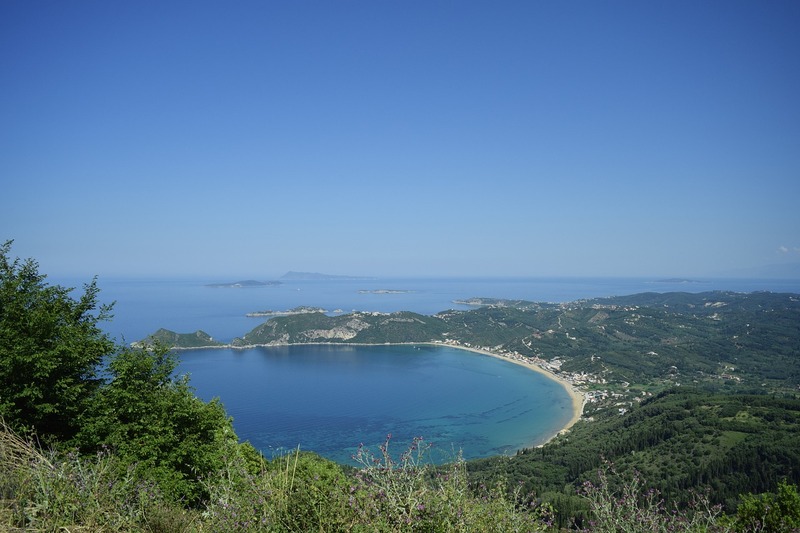 We especially love Corfu, as we've each written a guide to the island, and we've also written two together: Spiral Corfu and Corfu and Beyond. Mike has also written the Ionian Islands section of the Dorling Kindersley Eyewitness Guide to the Greek Islands, and once worked as a waiter in a restaurant on Zakynthos! Read about the life of a winemaker on Zakynthos. Click on the picture or text links below for more information about the individual Ionian Islands.